Beautiful women, angels, and flowers are some of the symbolic images on this fantastic album art. This is a solo project, conceptualized and brought to life by Italian composer Federico Romano. Even the band title, June 1974, brings to mind the psychedelic experimentation of the Hippie generation. Indeed, the surreal album art and trippy music are wildly creative and free, like a flower child in the Summer of Love. However, the art is also subversive. There are dark connontations with the album title Nemesi, which brings to mind an arch enemy or villain. Similarly, the ornate script of the album title and band name are intricate and gothic, more in line with heavy metal than with 70s psychedelia. The distorted guitars, played in major keys/major scales, reminds me of progressive rock and metal bands, such as Born of Osiris, or Between The Buried And Me. The virtuosity of the compositions is like other instrumental acts, such as Explosions In The Sky, or Angel Vivaldi. The album Nemesi is defined by collaboration with a variety of guest musicians with different backgrounds in music, rock, and metal. Songs feature members of King Diamond, Obituary, Pestilence, and Sadist, just to name a few. June 1974 is an eclectic project with a broad horizon of influences. A single song can have the experimental keyboard stylings of the late 60s, layered with the blast beats of modern death metal, and topped off with jazzy saxophones for good measure. These clashing styles may seem overwhelming at first, but Italy is famous for their extravagant, and ultimately gorgeous, flair for fine art. 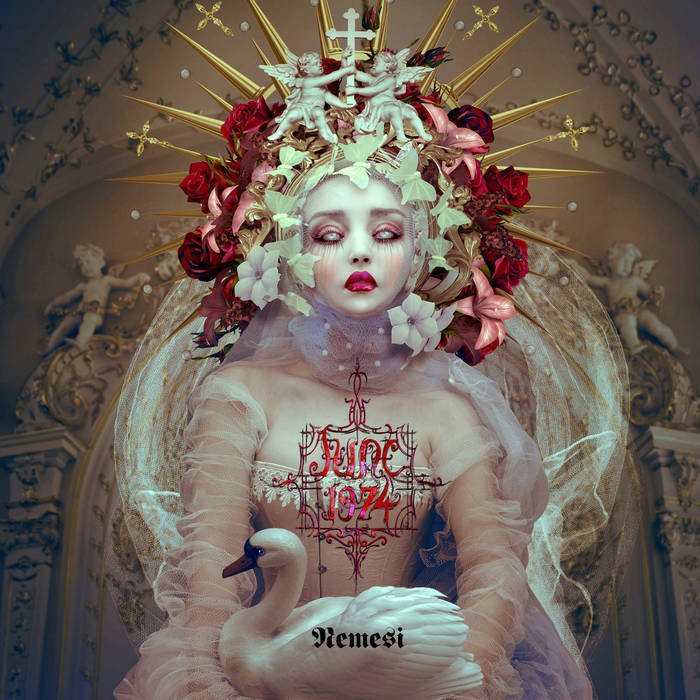 Nemesi is an ambitious album, put forth by Avante Garde solo project June 1974. Most music lovers can find something to appreciate in this piece. The melodies, the instrumentation, the composition, the guest musicians… All of it is quite impressive and inspired. Check out the full discography on Bandcamp. Three stars out of five!